At the end of last year we have a global meet up to celebrate Coerver turning 35! It was a great event and below is the post from our sister site www.coervercoaching.com to give you some more information on what happened, our new logo for the year and plans of future posts we will be sharing. Have a read and let us know your thoughts. If you are looking to sign up to our courses or becoming a partner in our business please get in touch. Really appreciate you taking the time to read this…. So, Coerver Coaching is 35 years old in 2019 (est. 1984). We asked ourselves what we could write that would be interesting, helpful and entertaining for you. What have we learned over these 35 years that can be of benefit to you. That is the aim of our blogs. So in January we are going to blog about how football has changed since 1984 (the year Coerver Coaching was founded) and 2019. We’ll write about our favourite players and teams over the decades. We’ll discuss our favourite goals in 80s/90s/2000s. Well write about the revolution in goalkeeping since 1984. Oh yeah, we’ll have some fun too, and look at football haircuts through the decades. PLUS much more…. p.s. 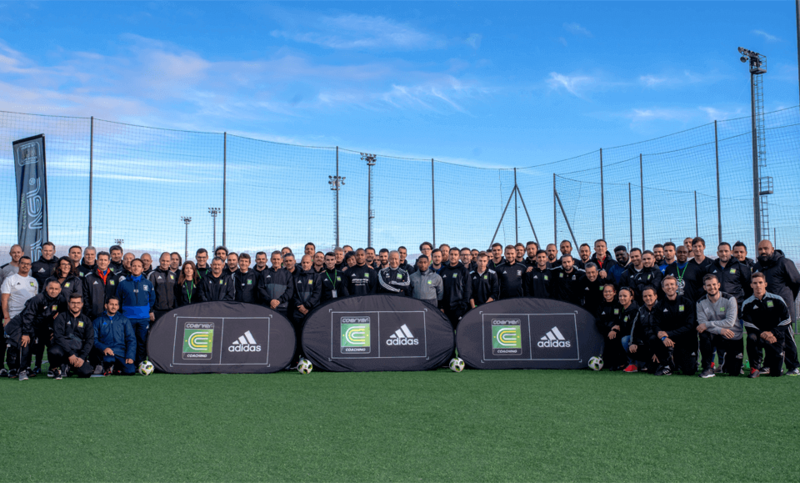 to kick us off (pardon the pun:) we wanted to share our 35th anniversary party with Coerver coaches from 31 countries that took place in Milan last week. It is an absolute privilege to work with so many great people and share ideas from all around the world.